Description: Similar in gameplay to Risk, this is an online, multiplayer site aimed at casual gamers who enjoy board game style warfare. 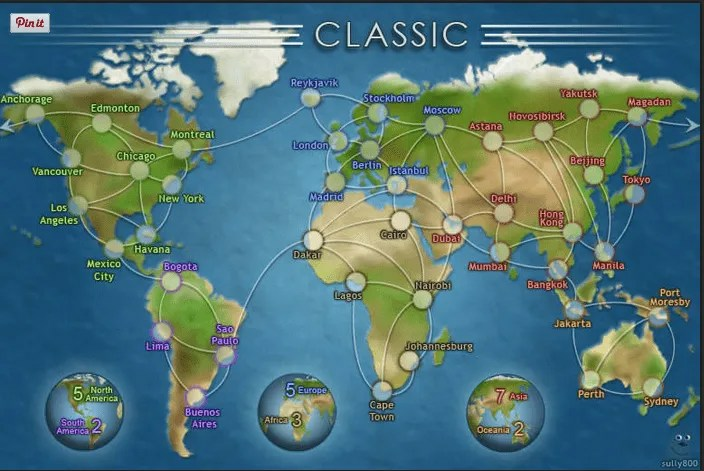 It has a variety of maps to play including Scotland, France, Classic (World), American Civil War, Africa, Caribbean Islands, Texas, Ireland, Europa, Iceland, British Isles, WWII Western Front, Peloponnesian War, High Seas, NYC, U.S. Senate, Arctic, Europe 1914, Germany, Cairns Coral Coast, Midgard, Greater China, Vancouver, Eastern Hemisphere, Luxembourg, Madagascar, Canada, USA Southwest, Australia, USA, Europe, USA Rockies, Halloween Hollows, and North America. Previous story Crimson Fields Open Source War Strategy Game.